Warm, welcoming and modern, with a comfortable bed and a practical bathroom, our rooms offer everything you need for an enjoyable stay. Balcony over looking the city view. We try to make the most of natural light coming into your room, the floor to ceiling glass windows offer you a great views of the city. 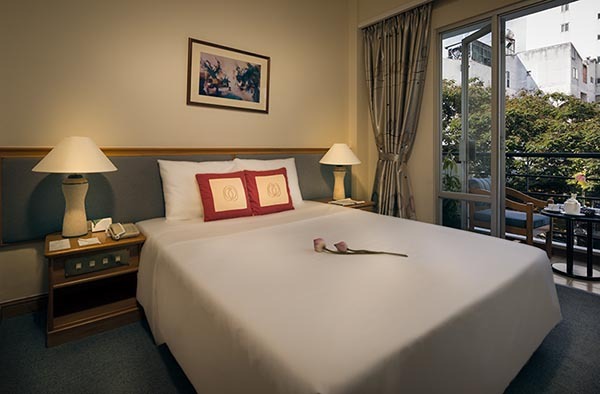 The room can accommodate up to 2 persons in a double bed. Bottle of water, tea and coffee complimantary.